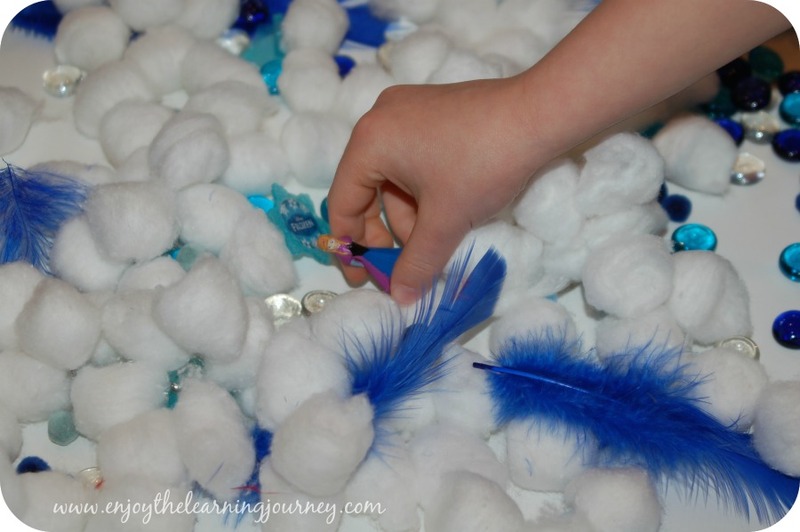 Sensory bins are such a fun way for children to use their senses to learn. They can see, feel, smell, hear, and sometimes even taste the items in the bin. They can then use those items to pretend, create, play, count, move, match, sort, stir, mix and more. 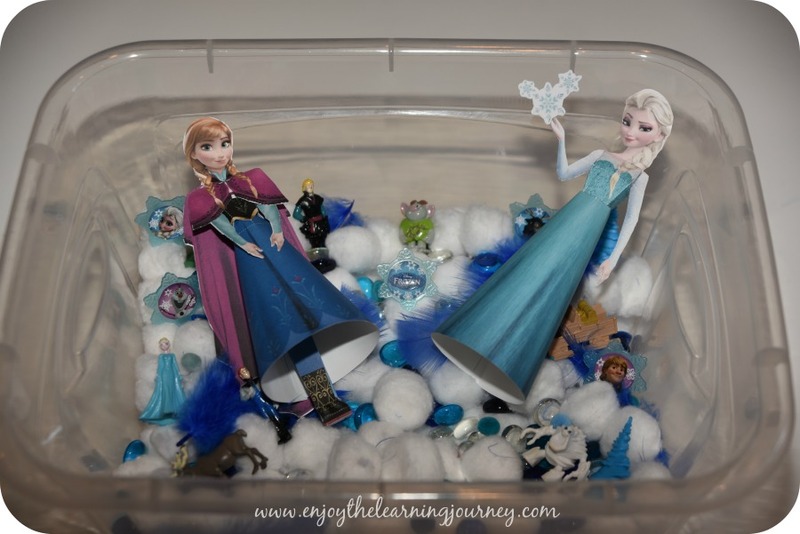 If your little girl loves Frozen then this sensory and exploration bin is the perfect way to combine her love for Anna and Elsa with some hands on exploration. 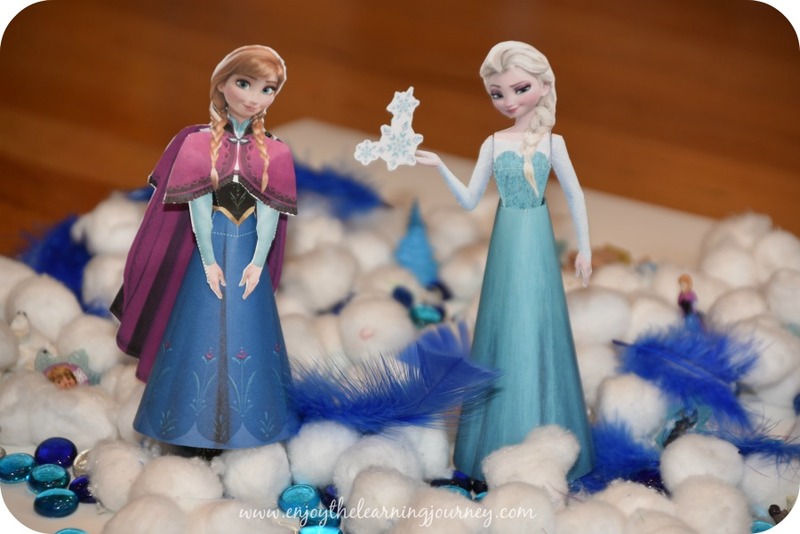 FREE Anna and Elsa 3D paper cut outs (WARNING: This is a very tedious project. If I had know how long it would take me to cut out and put these gals together I might have thought twice about doing it). 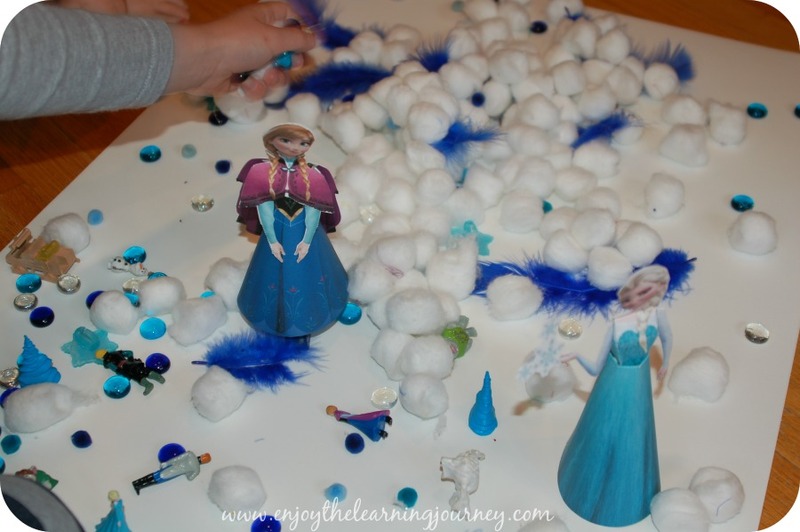 If you decide to include these Anna and Elsa 3D paper cut outs in the sensory bin you will need Precision Scissors in order to cut them out and some good glue. I used Elmer’s Glue-All which worked great. When you are putting together the sensory bin for your child be creative with the materials that you include. The items I suggest are for your reference and a starting point for ideas and not an exact recipe you need to follow. 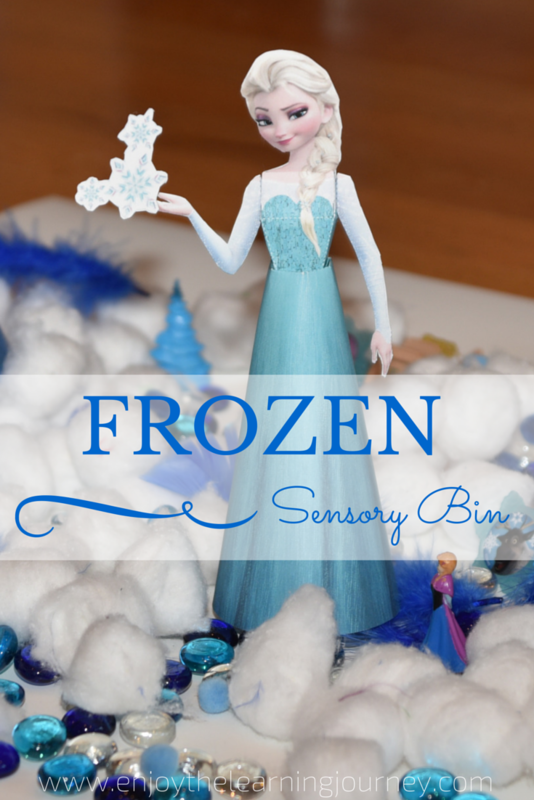 If you have other items in your house that you want to use for your Frozen sensory and exploration bin please do so! We started out with all the items in the bin but our girls almost immediately took everything out and laid it out on a mat so they could have more room to play with it. 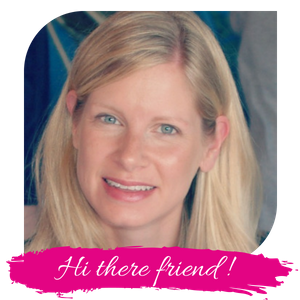 I let them explore freely and did not guide them at all. They touched, grabbed, poured and organized the items. The cotton balls and feathers were a favorite and they rubbed them on their cheeks. We put the items back in the bin and the next day I found them playing again. This time they kept everything inside the bin and used some tools from this Learning Resources bakery set to mix, smash, scoop and pour. Since our youngest children are now 4 1/2 years old I can keep the sensory bins out and available for free exploration. When they were younger I had to keep a closer eye on them so I always put the sensory bins away where they couldn’t get to them on their own. And if your Frozen fan likes movement and dance be sure to check out these Frozen Dancing Ribbons. 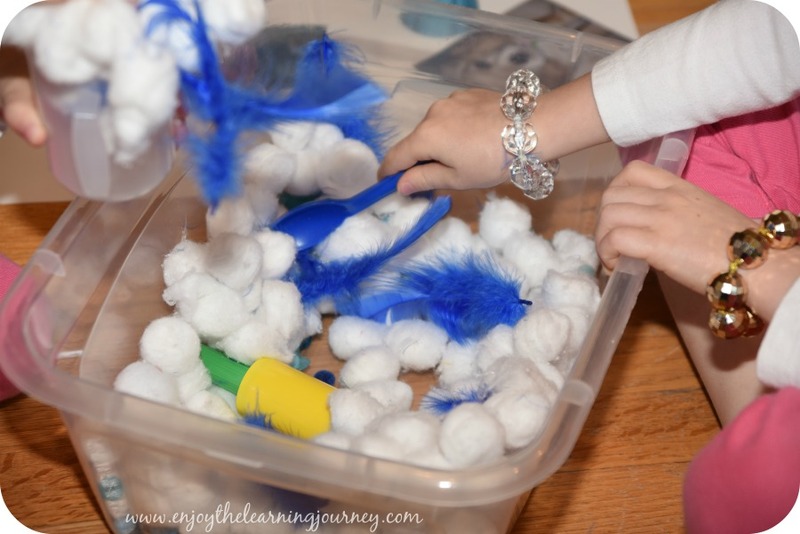 You can even include a dancing ribbon in the sensory bin!